The East Devon APUK group is a monthly (1st Friday of every month) meet up which runs alongside the weekly Axminster Baby Cafe group, which offers breastfeeding support, cloth nappy hire kits, sling & carrier hire and a book library. 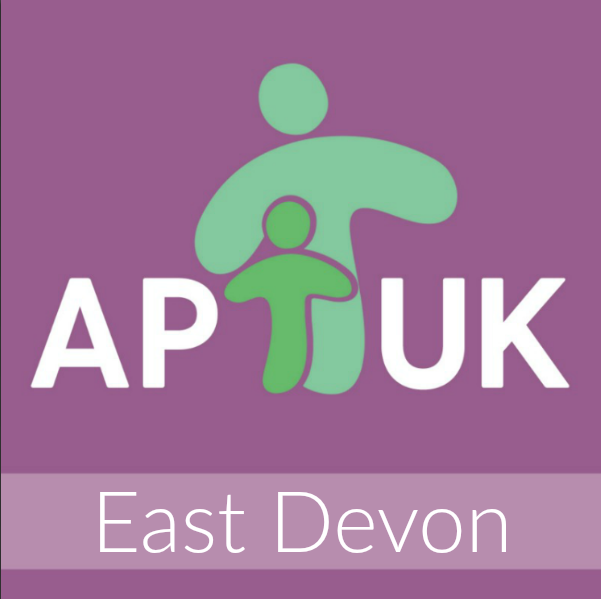 Being part of an already established, like-minded and parent & child centred group allows us, the East Devon APUK team to bring an additional dimension to parents who already attend the weekly group as well as encourage new parents to join in. During our monthly meet ups we choose a topic of discussion and invite all parents and carers to join in a relaxed chat about all sorts of parenting, baby and child related subjects, which no doubt are important and relevant to everyone. We aim to bring a very friendly, open and supportive element to the discussions, promoting attachment parenting view points and suggestions if and when needed. And let’s not forget we have tea, coffee, cake, toys for babies and toddlers – all to enjoy at the comfort of the Pippins Centre with comfy sofas and a safe outside space too!